BMW F 850 GS prices start at Rs. 12.95 lakh (Ex-Showroom). 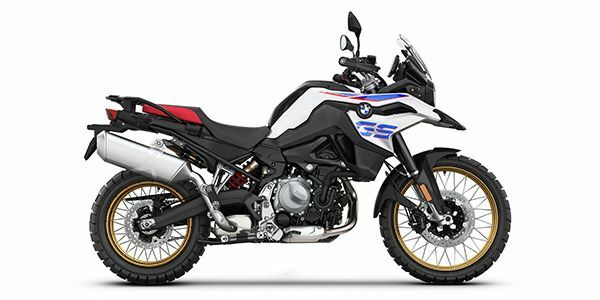 BMW F 850 GS is available in 1 variants and 3 colours. Q. My height is 5ft 8inches, is this bike suitable according to my height? BMW F 850 GS has a Saddle height of 860mm. So, you might face issue to touch both the feet properly on the ground and it will be dis-comfortable while taking U-turns and in start-stop traffic conditions. Q. What's the usable fuel tank capacity and the mileage? The BMW F 850 GS looks every bit an adventure bike - tall, stout and ready to take on the worst of roads. However, it is the new features that truly set it apart from the outgoing F 800 GS. The BMW F 850 GS gets a full LED headlight with optional DRLs, optional connectivity equipment with 6.5-inch colour TFT display and other optional equipment like keyless ignition, gear shift assistant Pro, dynamic ESA, and eCall. The BMW F 850 GS is powered by an all-new 853cc, parallel-twin motor that produces 95PS of power at 8,250rpm and 92Nm of torque at 6,250rpm. The bikemaker claims the bike can clock top speeds north of the 200kmph. The motor is mated to a 6-speed gearbox and also gets a slipper clutch for smoother downshifts. The BMW F 850 GS also gets 'Road’ and ‘Rain’ riding modes with ABS and ASC to better manage tough terrains. Pro riding modes like ‘Dynamic’, ‘Enduro’ and ‘Enduro Pro’ are available as optional extras, along with dynamic traction control and ABS Pro modes. BMW engineers have equipped the bike with 43mm USD forks at the front and a monoshock at the rear to take on the rough roads. The saddle of this adventure tourer sits 860mm above the ground. Braking is managed by 305mm dual disc brakes up front, while the rear comes with a 265mm single disc brake. Triumph Tiger 800: The Triumph Tiger 800 feels like an adventure bike that’s a sportsbike at heart. The grunt from the engine keeps you engaged, the saddle is comfortable for really long stints and it feels planted during high speed runs as well. The Tiger also performs impeccably in the city, except for the engine getting considerably hot in slow-moving traffic. Then again, it's an adventure tourer and will prove worthy, of every dime spent on it, off the road. Honda Africa Twin: The Africa Twin is one of those rare motorcycles where everything comes together in perfect harmony. The power delivery is usable and the suspension setup is also apt for off-roading. The downside is that the bike may not feel as exciting as other adventure bikes. Also, despite being an adventure bike, it feels pretty light on its feet and is one of the easiest adventure bikes to handle. In the city, it feels as easy to ride as a scooter, thanks to the DCT gearbox. Expect the BMW F 850 GS to showcase best-in-class build quality as is the case with all BMWs. BMW promises to offer a lot in terms of adventure biking capabilities with the new 850 GS. In fact, we expect it to be more refined and offer more grunt than the Triumph Tiger and definitely a lot fiercer than the Honda Africa Twin. Till we get our Hands on the F 850 GS, it is the Honda Africa Twin that proves to be the ideal package as it is more reliable. Be it on the road or off it.